We offer a very professional and highly experienced service in most Shipping matters including Sale & Purchase valuations, Stability Calculations, Ship Surveys, New Buildings, etc. We have direct buyers World Wide interested in ALL types and sizes of steel vessels for scrapping. We deal directly with the major Banks & Financial Institutions, including the European Investment Bank and International Finance Corporation. We hold in stock a wide range of NEW and USED parts for most marine engines and gearboxes at very competitive prices with in house expert spares' specialist. We have in house Legal Advisors who have been personally involved in major National and EU Legislation including Factortame Limited and others. 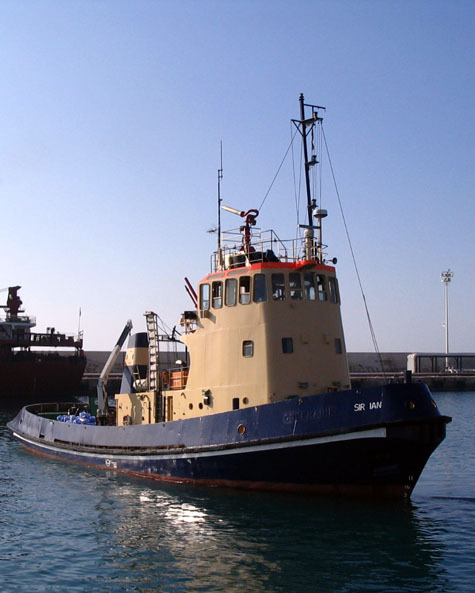 We offer both long and short distance tows at the most competitive rates for vessels of all sizes. We offer the services of arranging the sale and purchase of ALL sizes and category fishing licences and permits both within and outside the European Union. We can arrange the delivery and insurance of your vessel regardless of size and type World Wide.